I am the queen of multi-tasking! I truly think that we moms should sprout another set of arms with every kiddo we pop out. We might look a little funky but we’d be damn productive! That’s kind of what I feel about a spiked coffee. Is it a cocktail, a dessert, a coffee break? Heck babe! It’s all three! 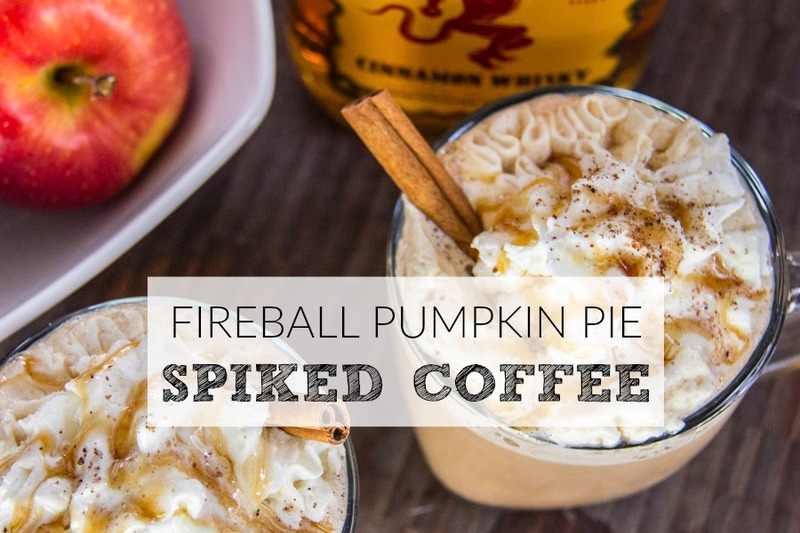 Spiked Fireball Pumpkin Pie Coffee. I’m already feeling more like the multi-tasking maven that I am! 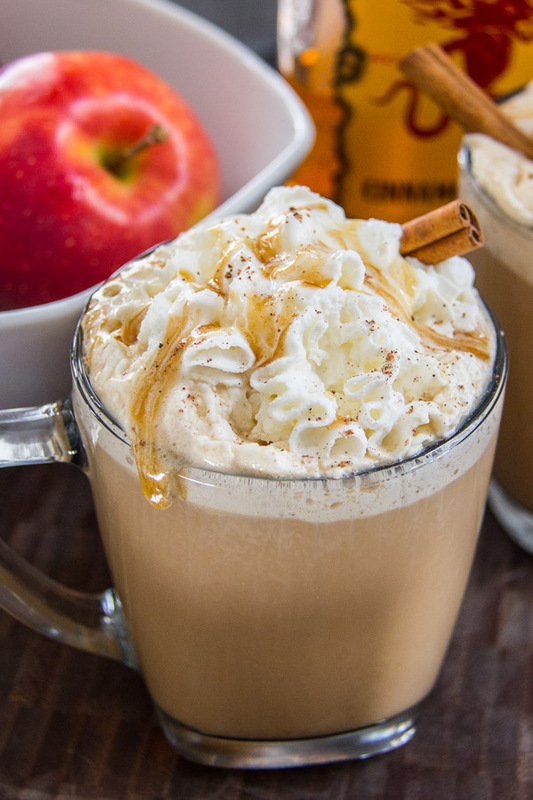 Fall and winter flavors are full of cinnamon, caramel, pumpkin pie, toasty goodness and little more sweet treats than I usually do but then again that’s why we hibernate in sweatpants, right? 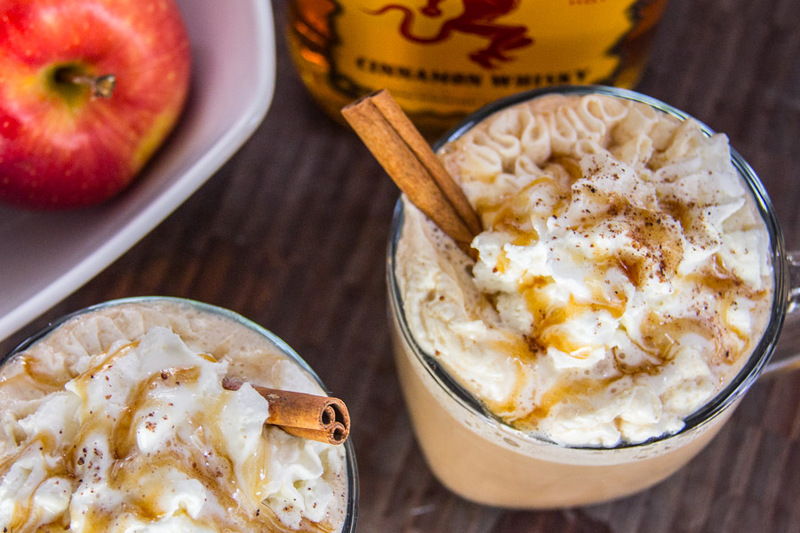 So brew some strong coffee, grab that bottle of Fireball I know you have in the back of your bar cabinet, the caramel sauce you used on the kids sundaes last week and the can of whipped cream from your fridge door and let’s make something special. The recipe makes 2 if you want to bring one to your neighbor for watching the kiddos the other day. She’ll love you forever! I always make strong coffee (would shove an IV into my arm if I could) but if you’re usually a more mild coffee drinker, make a strong pot just for this. You need to taste the coffee through the other ingredients and that won’t happen if the coffee isn’t strong enough. 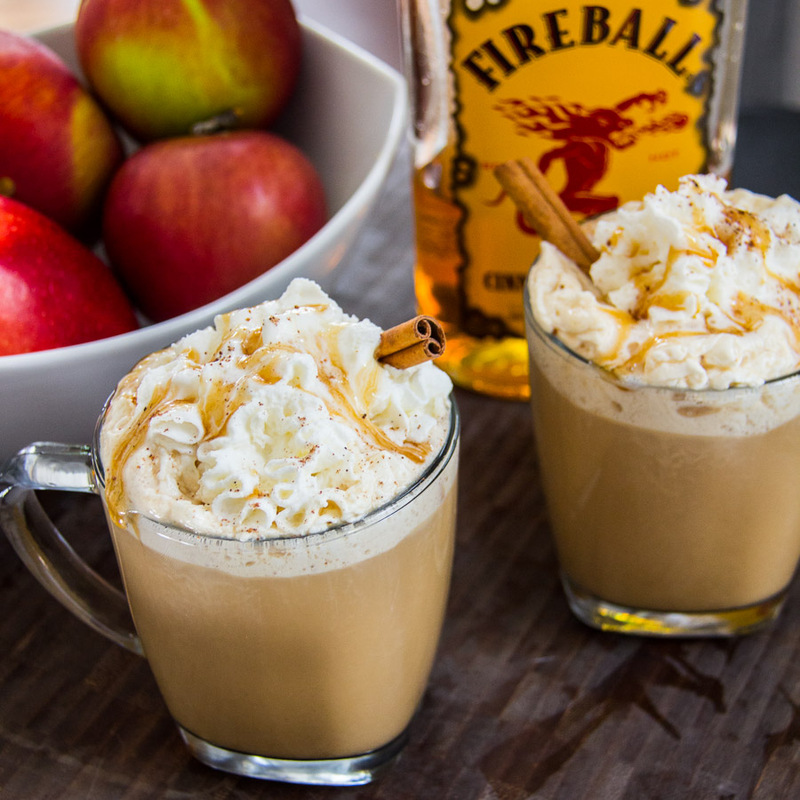 Making Fireball Pumpkin Pie Coffee is easy! 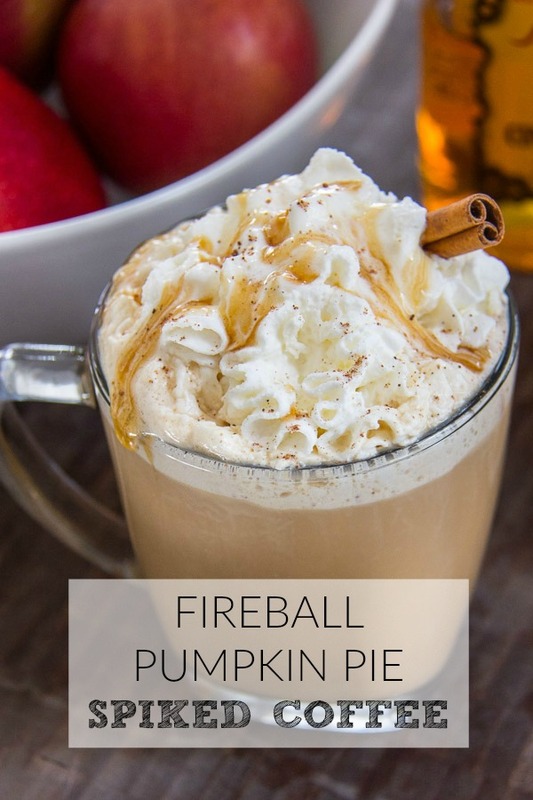 I measure out the coffee into a 4 cup liquid measuring cup and add in pumpkin pie spice (make your own here), Fireball Whiskey, half & half and a bit of sugar. Stir to mix well and pour evenly into 2 mugs. Top with whipped cream, a drizzle of caramel sauce and a cinnamon stick. Start a fire, turn on your favorite Bravo show (this one is mine), and curl up with a blanket. Combine ingredients and pour into 2 coffee mugs. Top with whipped cream, caramel sauce and a cinnamon stick. Mandy Landefeld is a Lifestyle Expert & Founder of Sumptuous Living who shares how to “Have It All & Not Lose Your Mind In The Process” with her tips and ideas on Cooking, Entertaining, Design and Cocktails.